Live in luxury—on a budget. Homeowners and renters of all means dream of having a beautiful home. The media makes it look so easy, but many of us have less to work with and still long to live in style. Affordable Interior Design makes luxury an affordable reality. 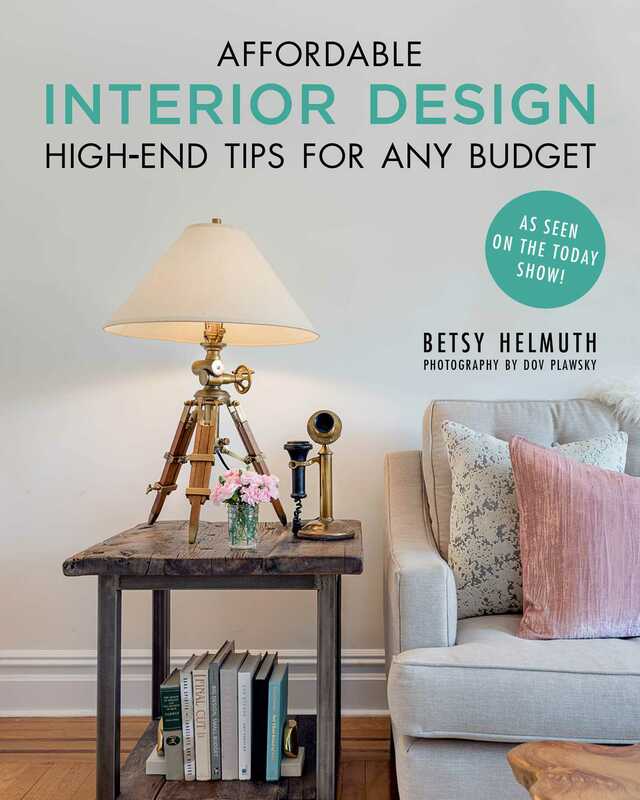 In this DIY home decorating handbook, Helmuth reveals insider tips and her tried-and-tested methods for choosing colors, creating a gallery wall, how to use accent tables, entry benches, rugs, and more! It’s time to start living in the home of your dreams without maxing out your credit cards. Learn how with Affordable Interior Design! Betsy Helmuth has established herself as a leading voice in affordable interior decorating. Before starting her firm, Affordable Interior Design, she worked with celebrity clients creating luxury homes. However, her Midwestern values kept surfacing&#8212;she was determined to bring luxury living to everyone. Betsy has done projects for HGTV, Food network, and DIY Network, and she has appeared in USA Today, Small Room Decorating magazine, the Wall Street Journal, and amNewYork. Helmuth resides in Brooklyn, New York.